We have had a very busy few weeks. 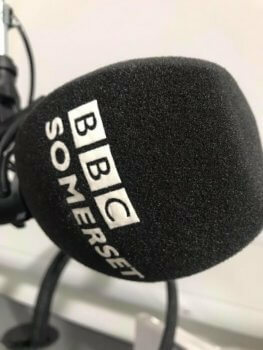 Easter is always a busy time for media and we have done three interviews for BBC radio, including BBC Radio 4, as well as having articles published in several magazines including the Mail on Sunday. 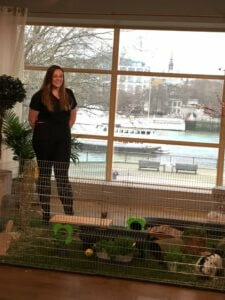 On Wednesday we worked with our friends from Burgess on the set of This Morning (thank you to Runaround for providing the binky box and tunnels) and it was a really great piece promoting rescue rabbits. We were behind the camera making sure the right message was given to the millions of viewers. 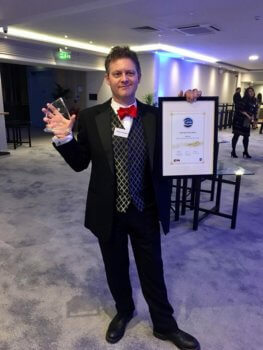 From there we went straight to Birmingham to the CEVA awards where we celebrated Richard Saunders being recognised as a Welfare Hero for the huge amount of work involved in getting the VHD2 vaccine in to the UK. We then spent 2 days with Burgess at the British Small Animal Veterinary Association (BSAVA) talking to Vet Professionals and launching Rabbit Awareness Week. It’s great to work with other such dedicated people. Just a few of the things we have been up to! RAW 2011 has kicked off to a great start, with coverage in national and regional press, newsround, and this morning on bbc breakfast. Dont forget, RAW is open to anyone at all with a rabbit, to book your free health check, log on to the website and see who is taking part near you.